There are plenty of great family vacation destinations within a few hours drive of Washington DC. See the following suggestions of family-friendly getaways in Maryland, Virginia, West Virginia, Pennsylvania and Delaware. 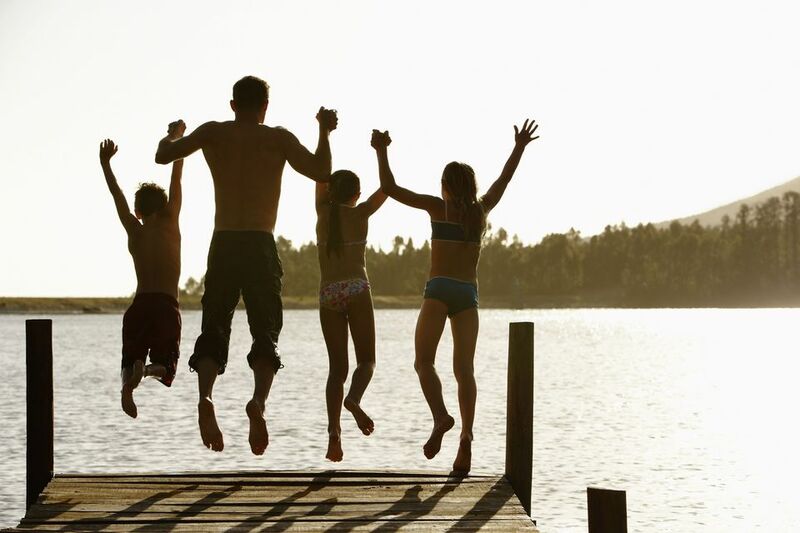 Plan an affordable and memorable trip that will entertain the whole family. From outdoor adventures to educational jaunts, the Mid-Atlantic region is fun to explore. See these vacation ideas that are proven favorites with families and additional resources on each destination for planning your trip. With its 10 miles of white sand beaches along the Atlantic, Ocean City is one of the most popular family vacation spots in the Mid-Atlantic region. The resort is a bustling beach town with amusement parks, arcades, miniature golf courses, shopping malls, an Outlet shopping center, movie theaters, go-kart tracks and the famous three-mile Ocean City Boardwalk. There are plenty of great beaches along the Eastern Shore. See a Visitors Guide to Ocean City, Maryland and learn about places to stay, things to do, maps, transportation and more. For more regional ideas, see a guide to the Best Beaches Near Washington DC. Step back in time and visit Colonial Williamsburg, the world’s largest living history museum, encompassing 301-acres of restored, reconstructed, and historically furnished buildings. Major attractions in the area also include Busch Gardens, Water Country USA, Jamestown and Yorktown. Great Wolf Lodge is also a popular year-round family vacation destination with its indoor water park and a variety of accommodations. See a Visitors Guide to Williamsburg, Virginia to learn more about the historic area, tours, special programs, main attractions, hotels, dining and more. Cumberland, Maryland. The Western Maryland resort hotel, located on a 243-acre lake at the foothills of Rocky Gap State Park, offers a wide variety of outdoor activities including everything from hiking, fishing, kayaking and sporting clays. The resort was remodeled in 2013 to upgrade its facilities and add 550 slot machines, 10 table games, and a casino bar. Read more about Rocky Gap Resort. Take a staycation and stay in Washington DC. Book a downtown hotel and enjoy the easy access to all of the city’s attractions. There’s so much to do in Washington DC that even if you’ve lived in the area for years, you probably haven’t seen it all. With 400 years of history and modern-day culture, there’s plenty to see and do in the capital city of the Commonwealth of Virginia. Kids especially enjoy visiting Kings Dominion, the Children’s Museum of Richmond and the Science Museum of Richmond. Other major attractions include the Virginia State Capitol, Virginia Museum of Fine Arts, James River, Maymont Park and Carytown. For more information about the area, see a Visitors Guide to Richmond, Virginia. Langhorne, PA. Located just north of Philadelphia, the amusement and water park is a terrific weekend getaway destination for families with young children. Visitors enjoy amusement rides, water slides, colorful shows and their favorite Sesame Street characters. Other recommended attractions for kids in the area include Independence Park, the Franklin Institute and the Philadelphia Zoo. Read more about Sesame Place. Hagerstown, Maryland. This unique family RV and cabin resort is a summer vacation destination featuring an interactive heated swimming pool, minigolf, a pedal cart speedway, lasertag and special themed entertainment. Luxury cabins and tent camping are available with facilities including a swimming pool with waterslides, mini-golf, playgrounds, horseshoe pits and a basketball court. Daily family activities provide lots of entertainment. Read more about Yogi Bear's Jellystone Park Camp Resort. The Baltimore Inner Harbor is an interesting place to visit and a fun destination for the whole family. Top attractions for kids include the National Aquarium, Maryland Science Center, Fort McHenry, and Port Discovery Children's Museum. The downtown area has a great selection of restaurants, hotels and shopping. Read more about things to do in Baltimore. This part of Pennsylvania offers a wide range of family-friendly, cultural, historical, and entertainment attractions. Spend a day at Hersheypark, take a buggy ride through the countryside and learn about the Amish, visit attractions such as the Land of Little Horses, Roadside America Miniature Village and The Cherry Crest Adventure Farm. Read more about Hershey, PA.
Easton, Pennsylvania. Located in eastern PA along the New Jersey border, the Crayola Factory offers dozens of hands-on activities allowing kids to use their creativity on a variety of artistic projects. Nearby popular attractions include Dorney Park & Wildwater Kingdom, C.F. Martin Guitar Co. and the Lehigh Valley Zoo. Read more about the Crayola Factory. Whitewater rafting is a fun activity for families who enjoy outdoor adventures. The Cheat River offers some of the best white water rapids on the east coast. Other activities available include rock climbing, caving, paintball, hiking, biking, kayaking, fishing, camping and more. A wide range of accommodations are nearby including hotels, inns, cabins, and luxury resorts. Read more about rafting on the Cheat River. Across the state of Pennsylvania, family farms invite families to leave the city behind and enjoy the peace and quiet of the country. Each farm is different and provides a unique experience. Read more about PA Family Farms. The Shenandoah Valley is an ideal getaway destination for families who enjoy outdoor recreation activities such as hiking, biking and camping. The area has inexpensive lodging and camping opportunities amidst breathtaking scenery. Popular attractions include Luray and Shenandoah Caverns, Luray Zoo and Shenandoah Vineyards. 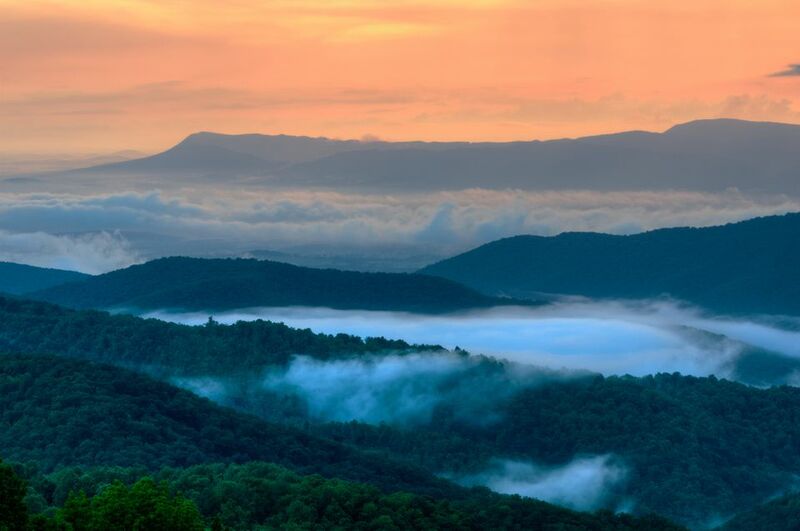 For more information, see a Visitor's Guide to Shenandoah National Park. Wilmington, DE is just a short drive from Washington DC and offers a variety of great attractions for kids including the Brandywine Zoo, Delaware Children’s Museum, Delaware Museum of Natural History and more. The nearby Brandywine Valley offers historic attractions, art museums, scenic countryside and plenty of outdoor recreation opportunities. Read more about the Brandywine Valley. While Virginia Beach is a great summer vacation destination, the area also has plenty of things to do year-round. Visitors enjoy a wide variety of recreational activities including hiking, kayaking, biking, fishing, golf, and whale- and dolphin-watching. During the winter months, you can even see humpback and fin whales in their natural habitat as they migrate off the coast. Kids especially enjoy the hands-on activities at the Virginia Aquarium. Virginia Beach is a sizable city and has plenty of restaurants, shopping and live entertainment. For more information, see a Virginia Beach Vacation Guide.